With the support of 6.2 million, the present Sri Lankan Government swept into power, winning both the presidential and general elections on the slogan of ‘GOOD GOVERNANCE’ – it was believed, to end, the ‘Bad Governance’ of former President Mahinda Rajapaksa. Mahinda Rajapaksa hugely energised by his victory over the LTTE in 2009 – embarked on a path of family dictatorial rule, self-glorification and abuse of power. Rajapaksa’s victory, albeit not won solely by his effort alone but one that was a combined and co-ordinated one, with military and logistical assistance coming from twenty two countries who were united in their quest to get rid of the LTTE and its leadership at any cost and price. Hailed as a hero and wallowing in his military success and in the popularity he enjoyed among the Sinhalese and the Buddhist clergy, Rajapaksa exploited the euphoria of victory to the maximum. Impeaching the Chief Justice and seizing control of the judiciary and all other independent commissions, he was able to consolidate power and as a consequence strengthen his presidency. While corruption became rampant, an atmosphere of fear and insecurity began enveloping the country where human rights activists, political opponents and journalists who exposed the truth faced possible death, the killings in all cases, carried out by agents of the state, after abductions in ‘White Vans’. With democratic values in jeopardy, the literate and politically matured Sri Lankan voters waited for the elections to remove the increasingly unpopular Rajapaksa clan. 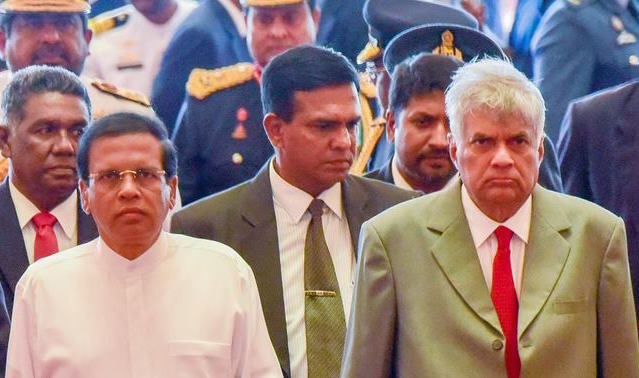 Sensing island wide resentment and opposition to Rajapaksa’s rule, Maithripala Sirisena jumped from the Rajapaksa band wagon and joined hands with Ranil Wickremesingha to get rid of Rajapaksa and his all powerful, no questions asked family rule. ‘GOOD GOVERNANCE’ was the coined slogan of ‘Maithri’ and ‘Ranil’, a term that mesmerised and won over the public. The western powers also lent their backing to unseat Rajapaksa who was an irritant to them for leaning on and hobnobbing with China. The vast majority of Tamils in the North and Eastern provinces also voted for the newly formed Ranil/Maithri coalition reposing faith on the promises made – It could be said the coalition virtually won the elections on the back of the Tamil vote. Tamils had high hopes on the coalition, delivering solutions to a community ravaged and traumatised by a genocidal war, that ended (according to UN estimates) in 70,000 civilians killed and about 65,000 missing – and amongst the living, many still not having recovered from their harrowing experience, widowed, orphaned, disabled and internally displaced. The demilitarization of the North, a promise made by Foreign Minister Mangala Samaraweera on January 20, 2015 at a press conference in Delhi; while a reduction in military presence was made by both the President and the Prime Minister on occasions. Contrary to such rhetoric, the military is in reality taking steps to strengthen and reinforce its position, confirming its permanent presence in, and occupation of the North & East. The return of land seized by the military within six months, a promise made by the President, the time line of which ended in June 2016. Contrary to such a promise, the concern now is the seizure of more lands by the security forces. The release of political prisoners: Both the President and the Prime Minister promised to release all political prisoners, first within one month, then within three months and later within six months all of which until now remain on paper, and there is still no sign or hope concerning their release, except for a few conditional releases. Investigation into the missing: The promise to fully investigate what happened to the involuntarily disappeared, the missing or unaccounted for including investigations into the killings of Journalists hasn’t been fully realised. The ‘Office of Missing Persons’ not only didn’t come up to expectations, it is yet to function. It must be noted that the Prime Minister himself had pre-empted the Office’s findings by his confession that most of the disappeared are probably dead. It is relevant to mention some of the acts of ‘GOOD GOVERNANCE’ along with various acts of the old ‘BAD GOVERNANCE’. Constitutional Council as well as the setting up of various commissions including an ‘Independent Commission to investigate allegations of Bribery and Corruption’. Amendments were also enacted restricting the powers and duration of office by the President – permitting only two terms. Passing of the Right to Information Act on July 01, 2016 and the establishment of the Office of Missing Persons on August 2016. This office is yet to function and the efficacy of this office and the lack there was detailed by the author in an earlier article on September 30, 2016. Atmosphere of fear and extra-judicial killings including political enemies and dissenters are now reduced appreciably including white van abductions. restrictions but surveillance is enforced through the security forces in the North and Eastern Provinces during protests, demonstrations, and meetings and in places where the public gather and meets like for example the market. If one looks at the track record of the ‘GOVERNMENT OF GOOD GOVERNANCE’, some election promises have been partially activated with some aborted and some still-born. The question of their implementation – particularly promises given to Tamils remain unfulfilled. The vital promise to haul up and indict all those involved in bribery, corruption and abuse of power and position, is already broken and indeed reversed by the President who has gone to the extent of criticising his own Minister and officials, for following normal procedure, condemning their actions to haul before the courts, top security personnel including former Defence Secretary Gotabaya Rajapaksa. The President’s open critical statements have now resulted in the ‘security personnel being released on bail’, almost guaranteeing their impunity. This unacceptable development is the foreboding for future non initiation or stalling of prosecutions. The President also directed his anger at the CID, FCID and Bribery and Corruption Commissions, casting aspersions on them, while undermining their independence as guaranteed in the 19th Amendment. It’s clear he has thus used his position to influence and interfere with their entrusted functions which is a mockery of the ‘GOOD GOVERNANCE’, his own ideal, one which the president often boasted of. The fall out of this interference has cast doubts on the other election promises of ending impunity, the eradication of bribery and corruption and punishing the corrupt – which can only be seen as heralding the end of ‘GOOD GOVERNANCE’. The prosecution and/or trials of former President Mahinda Rajapaksa and his family members are being allowed to drag on to reach a stage that would amount to, in all probability, absolving them of all culpability, but only to stymie the political rise and ambitions of Rajapaksa and his family members against whom numerous corruption and bribery allegations are floating with several millions of rupees involved in various shady deals and transactions during the last ten years. Any and all promises made towards accountability and justice are almost defunct with the President openly declaring his intention to protect all members of the security forces from any prosecution or culpability for alleged war crimes, crimes against humanity amounting to what’s believed to be ‘mass atrocity’ crimes including genocide. As an extension of this blanket impunity, the much talked of and boasted of ‘reconciliation’ has also suffered near demise, since no reconciliation will last or succeed until and unless accountability and justice is achieved. In addition, the President has conveniently omitted to initiate investigations into the killings of about 15 Tamil journalists killed since 1990 for reasons known to him. However, his initiation of investigations in to the killing of Sunday Leader Editor Lasantha Wickrematunga and the disappearance of cartoonist Eknaliyagoda, to mute the popular outcry for justice is also proceeding on a zigzag course, obviously to reach a dead end or cover up. As stated earlier, the return of seized lands, the release of political prisoners, the reduction of a strong military presence in the Northern Province have remained on paper and certainly will remain so, due to lack of political will and courage to exercise ‘Executive Presidential Powers’ and discretion, particularly considering the state’s agenda of Buddhisisation and Sinhalisation that’s going on in the Northern and Eastern provinces. With respect to the draconian Prevention of Terrorism Act, even if it is repealed, it is learnt that the new ‘Counter Terrorism Act’ which is expected by the end of the year will come out more like a carbon copy of the existing PTA, only worse. It is to be noted that 28 Buddha statues have been erected along A-9 Highway since the war ended in May 2009. (More on the ongoing attempts to erect Buddha Statues can be found here. Thus a new phenomenon has emerged where Buddha statues are being erected along the A9 route that leads to Jaffna where hardly Buddhists reside. Very recent attempts to erect a Buddha statue in the hill top in Amparai District in Batticoloa where Muslims and Tamils live, is causing tension in these areas. The Chief Minister of Eastern Province, a Muslim, and Minister Rauf Hakeem along with other Muslim politicians from the district and in the province have condemned the installation of the statue. This Buddhisisation simply and plainly breeds disharmony and not reconciliation. The clause in the constitution specifying Buddhism as the foremost religion in Sri Lanka with the duty to foster and protect being mandated on the state is nothing short other than confirming the statutory duty of state to carry out Buddhisisation, leaving the other religions to fend for themselves. Even the common term ‘secular state’ is yet unable to find its place in the constitution. This provision by implication allows Buddhist extremists and the state machinery to engage in further acts of suppression and discrimination against the minorities and their religions to advance the process of Buddhisiation. In short, Sri Lanka is now facing the twin evils of racism and religionism which are also fostered by the Buddhist clergy giving rise to mushrooming religious groups and extremists. The recent formation of a group called ‘Shiv Sena’ is one example among many others which are in the making. 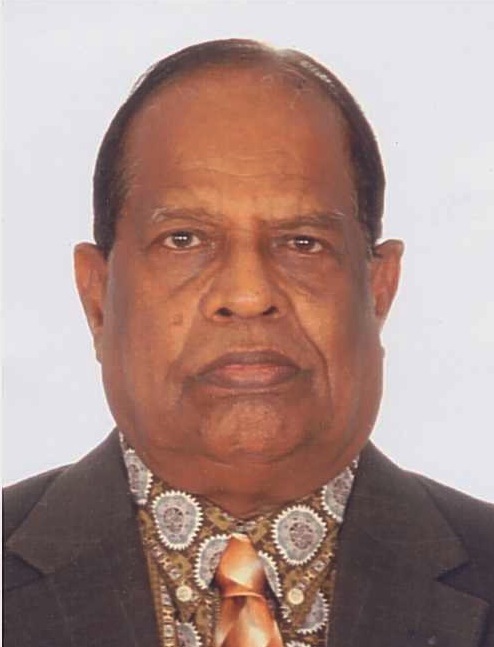 Another episode that has thwarted ‘GOOD GOVERNANCE’ is the inordinate delay in prosecuting those involved in the Central Bank Security Bonds scam which was exposed by COPE, implicating former Governor of Central Bank Mr. Arjuna Mahendran, a close friend of the Prime Minister Ranil Wickremesinghe – who is still pleading innocence. The matter is in the hands of Attorney-General and the prospect of any prosecution could take many years in all likelihood, orchestrating its natural death. 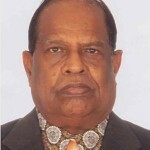 As for the Tamils, they have already lived under the ‘DHARMISTA’ slogan of the late President J.R. Jayewardene (architect of the existing Sri Lankan constitution consolidating all power under him and saying that except to change a man to a woman or change a woman to man, he has all the powers under his constitution) and the ‘TRIPLE GEM’ slogan of Chandrika Kumaratunaga, the former President of Sri Lanka – who was responsible for the breakdown of the peace process undertaken by Norway, which have only compounded miseries for Tamils and worsened their lives in all spheres including language, religion, equal opportunities, human rights etc. The present ‘GOOD GOVERNANCE’ slogan is just a continuation of the majority hegemonic rule that Tamils have been subject to and no different than Rajapaksa’s rule as far as the issues confronting the Tamils are concerned. In the main, promises made by Sri Lankan Governments always vary and differ from each other, depending on the place, the occasion and people: The promise given to United Nations and world dignitaries would differ from promises given to Tamils in the North and East and vary quite drastically from those given to the Sinhalese in the South. Out of these, only promises to Sinhalese are intended for fulfilment, while others remain mere opportunistic statements, meant only for consumption for that moment. Looking back at all the betrayals and the sufferings undergone by them, Tamils must, including their political leaders and parties, rise to the occasion to have their voices and grievances heard by the international community including the United Nations. Confining the concerns that Tamils have within Sri Lanka and heaping faith on promises by the President and/or Prime Minister will end up like the story of the parrot waiting in vain for the ripening fruit which when ripe bursts out and the cotton inside gets blown away by the wind. Thus, for Tamils, it has been a waiting game ever since. The Tamil National Alliance Leader, Mr. R. Sampanthan keeps moving the timeline for a political solution – and according to his latest remarks, he has again categorically stated a solution will come by next ‘Deepavali’ in 2017, without disclosing any clues as to how it would occur and what it would be like. One lives in hope that there won’t be many more similar ‘Deepavalis’ before any still hitherto unknown and undisclosed, hopefully correct and just solution for the Tamils finally arrives, thanks to some progressive Sinhala leader. It’s becoming more and more evident that Sri Lanka’s ‘GOOD GOVERNANCE’ project is two faced and fast fading into oblivion leaving the fate of the Tamil people up in the air. That’s why, now more than ever, much hope is being placed on the international community to protect the interests of Tamils. Even on that front, Sri Lanka appears to be ahead. The dubious commitments of Sri Lanka to justice and accountability can be observed from the South’s reaction, especially the Sri Lankan government’s response to Donald Trump’s victory. The rush to send congratulatory messages is indicative of the hurry to seek the President-elect and through him America’s support for Sri Lanka’s continuing impunity. Wigneswaran’s Proposed Political Marriage To Jayalalithaa Spells Betrayal Of Scholarship!